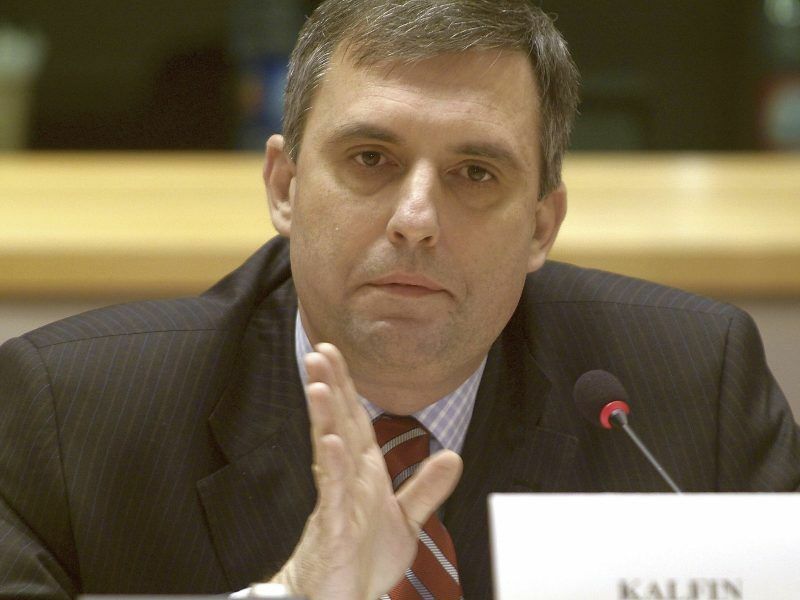 The EU’s next seven-year budget should increase, despite the impending departure of the UK from the bloc, the EU’s budget chief said on Wednesday (14 February). Spending between 2021 and 2027 should be between 1.1% and 1.2% of EU gross national income, compared to the 1%, said Budget Commissioner Günther Oettinger. 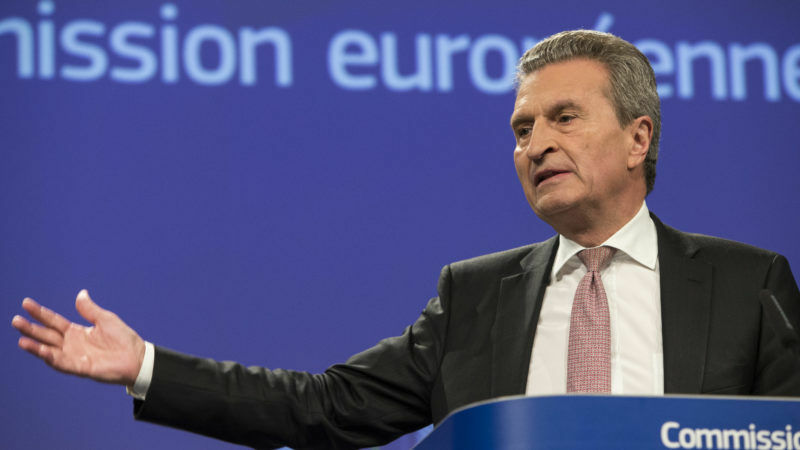 Addressing reporters, Oettinger announced that the Commission would also bring forward negotiations on the bloc’s next multi-annual financial framework (MFF), in a bid to avoid a repeat of the last-minute brinksmanship that dominated talks between the EU institutions in 2013. “Last time the decision was taken too late. Farmers didn’t have any certainty, our funds were jeopardised and we did not have clarity on what the EU budget funds,” said Oettinger. “If such a delay were to happen again, more than 100,000 EU-funded projects – in key areas like business support, energy efficiency, health care, education and social inclusion – would not be able to start on time, and hundreds of thousands of young people would not be able to benefit from an Erasmus+ exchange in 2021,” he added. EU leaders should start debating the next multi-annual budget as soon as possible because the talks will be more complex than ever and may produce legal disputes that will force the union to revert to an interim budget in 2020, a senior adviser to Commissioner Günther Oettinger told EURACTIV.com. That still leaves a tight window in which to secure agreement between MEPs and governments before the European elections in 2019. The UK has made an average net contribution to EU finances of €10 billion per year since 2013, prompting concerns that heavy spending cuts to the EU’s agriculture and cohesion fund programmes, which dominate the bloc’s spending, could be required. Meanwhile, in a ‘Reflection Paper on the future of EU finances,’ published on Wednesday by the Commission, the EU executive also proposes that the budget allocate €25 billion specifically to the 19 countries in the eurozone. 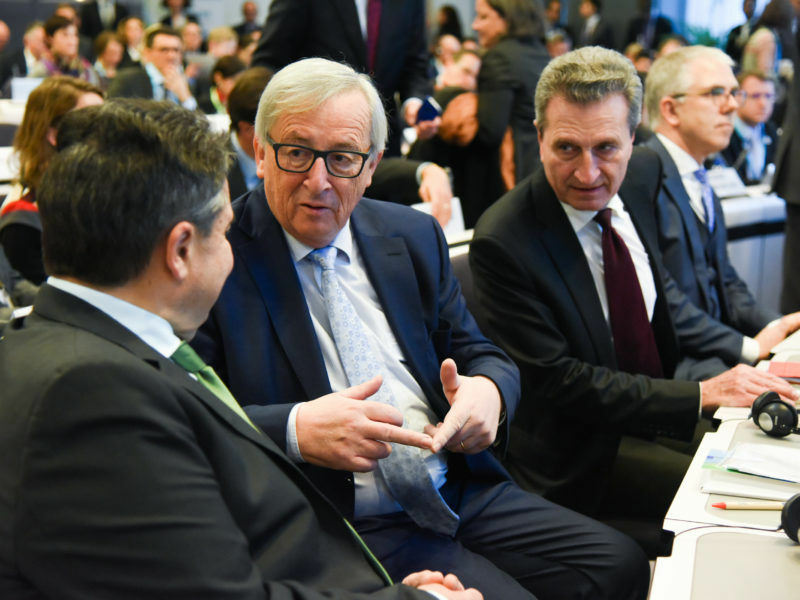 Oettinger added that the new MFF would establish a principle that the EU budget would “only fund programmes if we can see a real added value,” said Oettinger. “‘No investment without added value’ will be our motto”. For its part, the Luxembourg-based Court of Auditors is expected to call for the MFF to set out a robust concept of ‘EU value’, evaluating the performance of spending programmes and assessing the risks to EU finances of financial instruments and guarantees. That would also provide a more comprehensive and accurate estimate of the costs, benefits and net balances of EU membership. As it would seem appropriate, the auditors are also likely to call for the right to audit all bodies which implement EU policies. This could include the European Defence Agency, the proposed European Monetary Fund, the European Stability Mechanism and the EIB’s non-EU Budget-related operations. Talks on the MFF will start at a European Council summit next Friday (23 February). The Commission will table a formal budget proposal on 2 May.